Head of the Atomic Energy Organization of Iran (AEOI) chided the International Atomic Energy Agency (IAEA) for issuing an unfair, biased report on Iran’s peaceful nuclear program, and urged the agency to pursue non-political approaches. “Unfortunately, the International Atomic Energy Agency’s recent report (on Iran) is unfair and is merely political,” Ali Akbar Salehi told Tasnim on Sunday. The latest IAEA report on Iran, released Wednesday afternoon in the Austrian capital of Vienna, said Tehran is on course to test around 1,000 new advanced uranium enrichment centrifuges. The latest IAEA report said Iran has begun installing more than 1,000 IR-2m centrifuges, which are more modern and quicker than older models used at the Natanz Fuel Enrichment Plant. “Iran has not suspended its enrichment related activities,” the IAEA report concluded. In reply, Salehi said Iran expects the global body to issue its reports on the basis of transparency and moderation not personal perceptions. 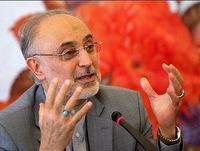 “The IAEA’s recent report on Iran’s nuclear activities is a routine report,” Salehi pointed out. He also announced that the IAEA will hold its next meeting with Iran on September 27 in the Austrian capital, Vienna. 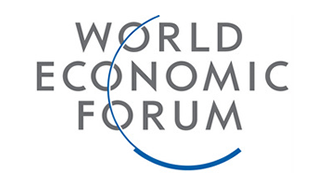 Iran, a signatory to the Non-Proliferation Treaty, considers nuclear enrichment an inalienable right, and has on numerous ocassions reiterated that it wants nuclear energy for purely peaceful purposes, and that it is on religious, ethical and practical grounds opposed to nuclear weapons. The talks will be the 11th round of discussions between Iran and IAEA since early last year. The two sides last met in Vienna on May 15. On August 6, Iranian President Hassan Rouhani made comments on his approach to the nuclear program, and reaffirmed Tehran’s determination to pursue a “win-win” solution to the issue. “We are prepared to enter serious and meaningful negotiations with determination and without wasting time, and if our opposing party is equally ready, I am confident that the concerns of both sides will be allayed through dialogue,” the Iranian chief executive pointed out. The United States and the European Union have imposed illegal unilateral sanctions against Iran over the false claim that Iran's nuclear energy program might include a military component. Iran rejects the allegation, arguing that numerous inspections of its nuclear sites by the IAEA have invariably failed to find any diversion towards military purposes.